Architectural Digest Names The Dallas Arboretum One of the "World's Most Breathtaking Gardens to Visit This Season"
File this one under "News Locals Already Knew But Outsiders Are Just Catching Onto". I want to give my friends at the Dallas Arboretum a slow clap for being recognized by Architectural Digest as one of the world's most Breathtaking Botanical Gardens To Visit This Season. "Whether you're interested in seeing rare flowers, relaxing in a gorgeous green space, or finding ideas for your own summer garden, you'll find what you're looking for at these celebrated botanical gardens around the world," says the international architecture and design publication. 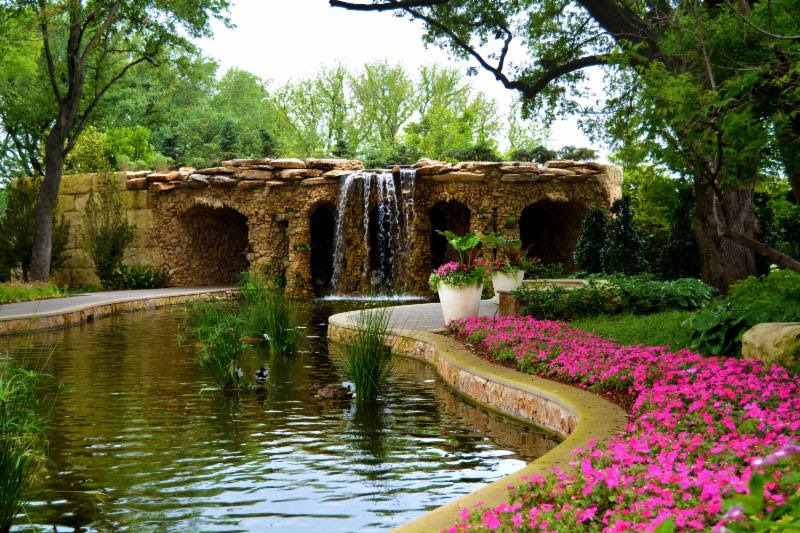 It goes on to describe the Dallas Arboretum and Botanical Gardens as a "66-acre haven for thriving ferns and azaleas... with one of the best views of the downtown skyline." The Arboretum sent me this news saying that they were gobsmacked to be "listed second in an elite group that includes Gardens of the Palace of Versailles, Versailles, France; Claude Monet Foundation, Giverny, France; Kirstenbosch National Botanic Garden, Cape Town, South Africa; Rio de Janeiro Botanical Garden, Rio de Janeiro, Brazil; Nong Nooch Tropical Garden, Chonburi Province, Thailand; Royal Botanic Gardens, London, England; and Singapore Botanic Garden, Singapore."